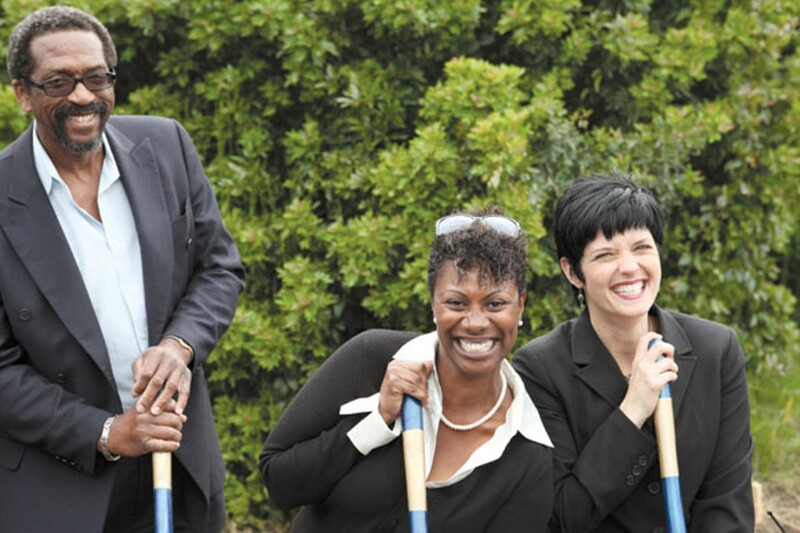 County Supervisor Nate Miley, Shanale Allen, and Susan Beck break ground at Dig Deep Farms. On April 19, the Ashland/Cherryland Garden Network broke ground at its first urban farm site, temporarily leased to it by the Alameda County Fire Department. The department had hoped to use the property for fire engine maintenance, but was never able to secure enough money to do so. So when the network approached it with the option of transforming the plot into community farmland, "we thought, well, if that's what it was meant to be, then that's what it was meant to be," firefighter John Torres recalled. 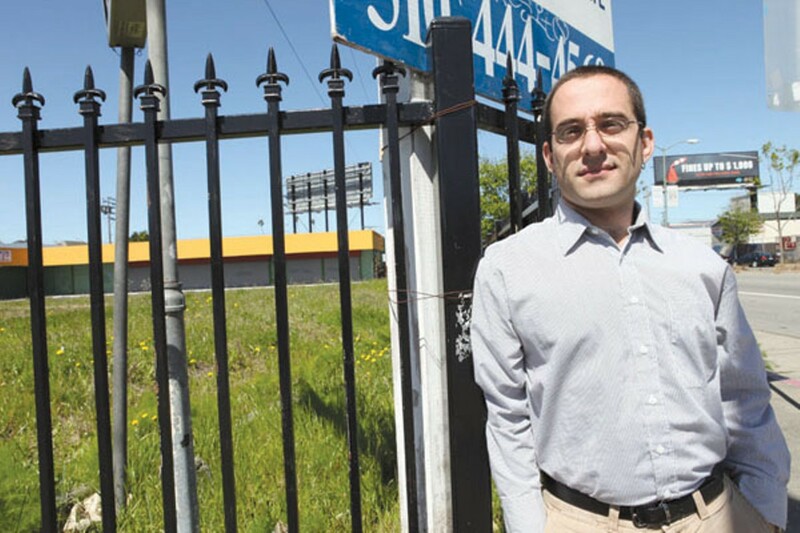 Now one of six sites that are together officially called "Dig Deep Farms," this .2-acre property is the largest plot of land the network has yet obtained permission to farm. Bigger than it appears from the fence that separates it from the sidewalk, the narrow, citrus-tree-lined property abuts Fire Station Number Three on 164th Avenue in Ashland, an unincorporated area between San Leandro and Hayward. By the day of the groundbreaking, ten newly hired urban farmers had roto-tilled long mounds of dirt in preparation for spring planting. And when the ceremony began and Susan Beck stepped up to the mic, she thanked the workers for their effort. Amplified by a tinny speaker, Beck's voice was shaky but firm: "This project began when I approached Sergeant Marty Neideffer with a small grant for neighborhood gardens and this book," she said, holding up a hardback copy of The Green Collar Economy by former White House advisor Van Jones. There was a time when not only Ashland but this entire region was known for its green-collar economy. Back in the 1880s, it boasted the East Bay's highest concentration of fruit tree orchards, thanks to Alameda County's first commercial farmer, William Meek. The properties around Meek's mansion, which he built in 1869, came to be called "Cherryland" because they were dense with cherry trees. Cherryland and neighboring Ashland, San Lorenzo, Castro Valley, and Fairview are still known today as the "Eden Areas." But most are no longer as idyllic as that name suggests. As industrialization heightened in the 1940s, development quickly turned the region from farm to suburb. Migrant workers were ghettoized in these unincorporated neighborhoods due to racial prejudice in the housing policies of nearby cities. Today, the majority of Cherryland and Ashland residents are Latino and working-class, and boast some of the worst health statistics in the Bay Area. For instance, county statistics say Cherryland residents are 86 percent more likely to die of diabetes than residents of any other part of the county. Their overall mortality rate is 48 percent higher than the countywide average, with heart disease the leading cause of death. There could be any number of reasons for this: demographics, poor health education, lack of access to public health resources. 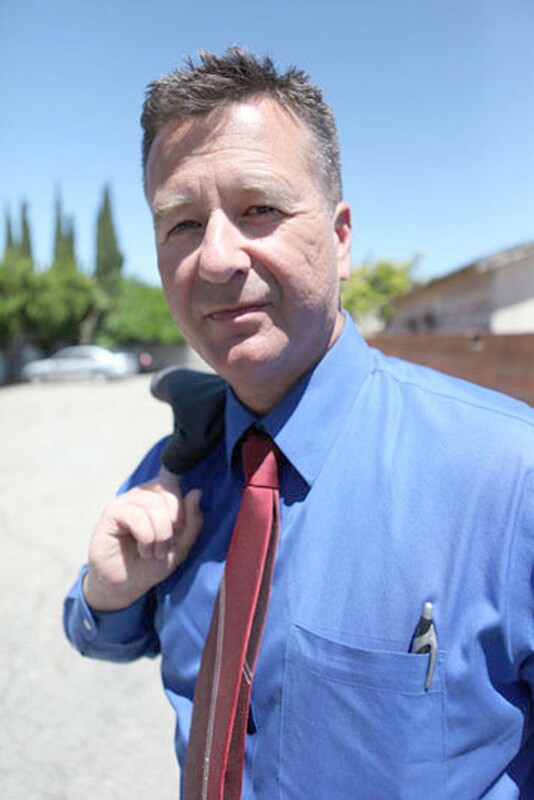 Whatever the cause, in 2004 health problems in unincorporated western Alameda County were so bad that County Supervisor Nate Miley declared a local state of emergency, and began the "Eden Area Livability Initiative" as part of an effort to fix up the place. That initiative partly marks Susan Beck's entrance into Cherryland politics. Today, she is at the helm of a growing group of stakeholders known as the "Ashland/Cherryland Garden Network," which recently landed about $65,000 in funding to hire a dozen full-time employees to initiate and maintain six local sites now secured for urban farming. The group found allies in Supervisor Miley and Sergeant Marty Neideffer of the Alameda County Deputy Sheriff's Activities League. The network's relatively rapid progress is proof that something in its strategy struck a chord. "The velocity at which this project has come to fruition is unheard of in community-county partnership," Beck said at the groundbreaking. "And that's only possible when the people in charge take things personally." Indeed, the proof was right there in the crowd, which consisted of firefighters, police, community members, political supporters, and passersby. 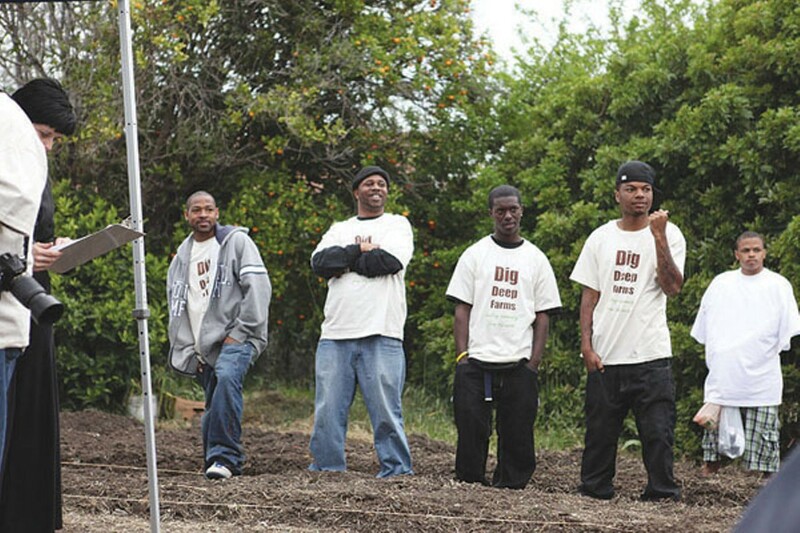 The network secured funding, created jobs for community members, and started planting on otherwise unused land, accomplishing more in a year than similar activists in Oakland have been able to do in ten. But the million-dollar question is whether these efforts can take root long-term. Network leaders hope to create so much food that the farms will pay for themselves. But longtime urban agriculture advocates say the dream of building a self-sustaining food system is more complicated than it sounds. As hype mounts around the panacea potential of urban agriculture, it seems like every city in America is vying to rejuvenate via a return to its agrarian roots. But is this movement sustainable? After all, urban gardens are tasked with a long list of lofty expectations that include improving health, reducing obesity rates, remediating the soil, creating green space, dampening crime, providing jobs and education, increasing property values, nourishing potential spin-off businesses like restaurants and bakeries, and even making money. It's a hefty load for a few small plots of land. Susan Beck isn't daunted by the challenge. During an early-February tour of her neighborhood in Cherryland, an unincorporated square mile bounded by Ashland, Hayward, San Lorenzo, and Castro Valley, she walks to the house next to hers, which is blighted and empty. The windows are boarded and a swath of weeds skirts the front door. "They don't plan to do anything with this house," she said, throwing up her hands. "What I'm saying is: let's bring in some kids to garden this sucker." The food movement is out of reach for the poor and working classes, activists say. Van Jones renounced his rowdy black nationalism on the way toward becoming an influential leader of the new progressive politics.